Showers were predicted yesterday, with temperatures in the 40s. So, since I had canceled last Tuesday's hike because of below-zero wind chill factors, I decided to hike anyway. It was actually steady, sometimes heavy, rain all morning! However, it was warm enough that we were very comfortable even in the damp conditions. The four of us enjoyed the trail. 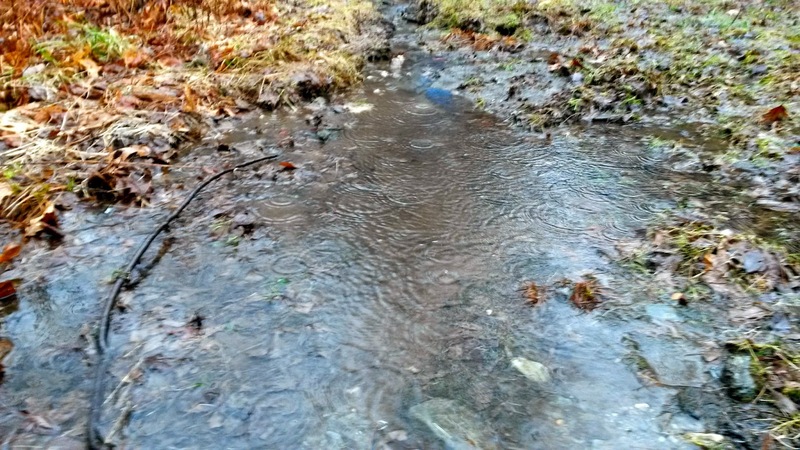 This is the third time this winter that the snow has melted away in the warm rainy conditions. Talk about a January thaw — this year we have had three of them and one was in December! 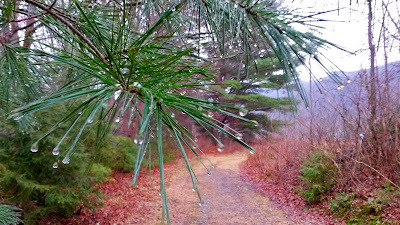 Water was dripping from every pine needle. 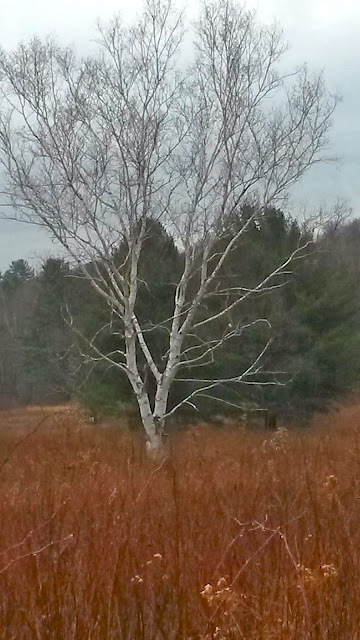 This white birch really stood out in the dark surroundings. 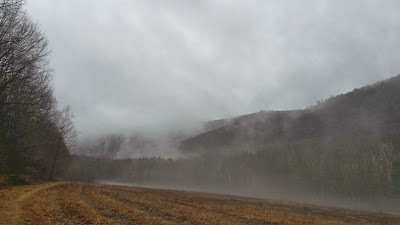 The rain was still coming down as the mist rose from the field and hills. 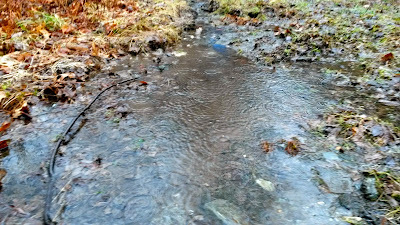 Lots of standing water on the trail.